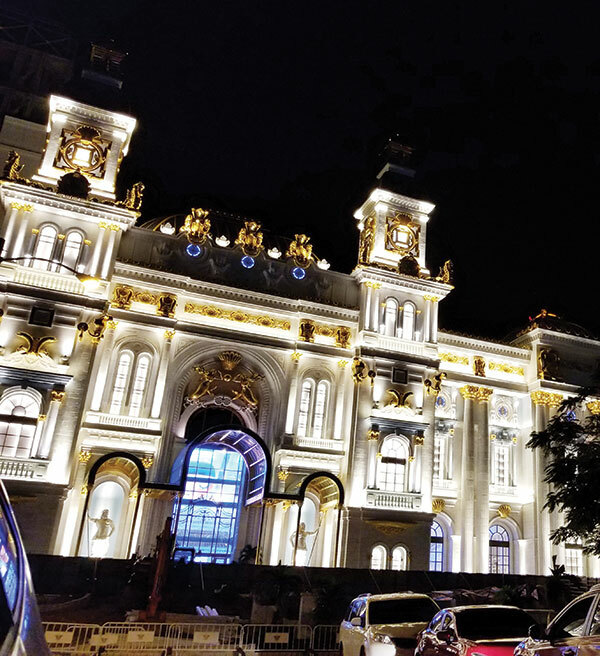 The façade of the Imperial Pacific Resort in Garapan lights up the night sky. Imperial Pacific International (CNMI) LLC is being criticized, this time for the alleged termination of the job contracts of 80 foreign workers who were brought in under temporary worker visas, or H-2B, and these individuals are looking for answers. One of the workers, who were among the 80 who were given walking papers, posted last Friday a plea for legal advice and help on a social media page. The post stated that IPI renewed their visas and gave them a contract extension from Sept. 1 to Jan. 30. “But now, they are giving us a termination papers effective Oct. 12.” The workers, all of them in construction, were helping build the Imperial Pacific Resort in Garapan. The statement added that IP is prioritizing the local and U.S. citizen workforce that were affected when they terminated the services of Guam-based contractor, Pacific Rim. 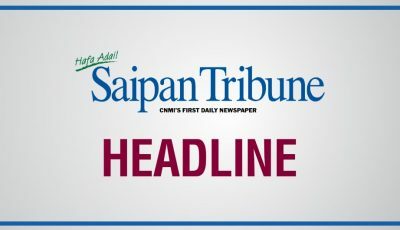 A source, who agreed to speak on the condition of anonymity, told Saipan Tribune that the termination of the contracts of the foreign laborers were legal since they are conditional workers. IPI, in the termination of employment, said the workers would be provided with seven days of salary for their accrued paid time off that would reflect in their final paycheck. Yesterday, over 50 IPI construction workers met with Rep. Edwin Propst (Ind-Saipan) and Tina Sablan, who was standing in for U.S. Delegate Gregorio Kilili Camacho Sablan (Ind-MP), at the Pentecostal Missionary Church of Christ chapel in San Jose to voice their concerns and seek answers to some of their questions through an open forum. Propst reportedly plans to accompany them to the Department of Labor today. He also invited them to join tomorrow’s House session. He said the termination of the workers’ contracts came as a surprise. “They want answers because this was so sudden. They explained to us that they were called in on Friday afternoon, one by one, and were served termination letters that they would only be given severance pay for seven days and they would be sent back home,” he said. “They had contracts through January 2019. They were given no explanation as to why they were being terminated so suddenly or why all 80 H-2B workers terminated just happened to be Filipinos. Propst said that another one of their concerns is that IPI is allegedly already preparing to terminate the contracts of another 100 guest workers. “Our big concern right now is that…there was no information whatsoever about this and they wanted to let them go quietly but once they started talking amongst themselves, they found out that there were 80 of them that were terminated and now we are hearing that IPI is ready to terminate another 100 workers in addition to this 80,” he said.